The seductive and deep thick scent of coffee and sweet parfait. It is a time only for myself, a relaxing time alone without being disturbed by anyone. An old-fashioned cafe has a cozy feeling for some reason. It will be something that will be built up with time along with the music that flows around in the atmosphere mixed with the conversations of the customers. Kanda Nishiki-cho neighborhood coffee shop and coffee lover walk with Ms. Otani. In the second part, we will talked more deeply about Ms. Otani's favourite coffee shop. ー Recently third wave coffee shops are popular but I think that there are also many people going to cafes or family restaurant, but what do you think is the biggest difference between them and a old-fashioned coffee shops? One the population going there, the age range of customers. Senior citizens and young people are going to the same space naturally, and you can meet people who you would never meet if you were living a usual life. That is a tremendous inspiration. And the world that we only saw in TV dramas and documentaries was truly held up at the next seat (laugh). If there’s for example a couple that is fighting or have some dense drama at their own table. That is all real, it is more stimulating than watching drama and television. So it is fun to watch people at a coffee shop. ー There is also a location factor. That's right! Depending on the location, the crowd is completely different. Even in the same town, it depends of the area and time, and it will be exciting just to be at a coffee shop to see that. ー We kind of understand that. Omiyu-san what do you usually order for food from the menu? Everytime I choose a different dish, but I also choose regarding the glass/container the food is served into. But If there’s cream-soda in one of my favourite glass, I’ll definitely choose that item ! Most of the time after the meal I will take a coffee also. And if the coffee shop has big Parfait ice cream, I usually ordered it to eat with my friends. ー What do you order when you’re feeling adventurous? In some shops, most of the customers are office workers and they order plum seaweed tea, so I sometimes do the same and order that same tea. ー If there’s a coffee shop you’ve never been to, what make you want to go to that place and what are you feeling then? I usually use my intuition for new places, but it is kind of risky so I always try to ask people I know about their opinions on these places, or I based my choice on the interior of the coffee shop. ー There is a difference between coffee shops and old-fashioned coffee shops, can you tell us what it is? In old-fashioned coffee shops you won’t find any alcohol. I chose the name "old-fashioned tea preparation room" because I thought it sounded cute. I did a preparatory room because I wanted everyone to go to a coffee shop. Although I had an idea of making a fictional coffee shop concept, I was attracted to old style coffee shop, I stopped thinking that making new was also conceptual in it’s way. So, what I wanted to do with this project is that people who are viewing my project and concept will think like "I went to a coffee shop", and I wanted the number of people to think like that to increase. ー What was the reason? It was after seeing the reality that coffee shops was going out of business. Isn’t it sad to see your favourite place disappear? So I thought it would be nice if the number of people going to coffee shops increase more. ー Certainly, the old shops and buildings are gone, it seems that their memories are gone, and it is also lonesome. So, I think that I can do something for my coffee shop in the world. Every time I hear the story that "There is a coffee shop that closed down" there, I think that it is because I didn’t go... I wondered why I didn’t go there everytime I passed by, I also wondered if the shop would still be open if I actually went there. It may be too much though, but sometimes I think like that. But even if a coffee shop is really good, I still cannot go to all of them and I wonder if there is a way to go to the ones that are on my way. So I wanted to do things like mixing in and spreading that concept in my favorite fashion and culture. ー That is a perfect idea! It would be nice if not only people who were originally interested in coffee shops, but also people who are interested in cafe from the cuts of fashion and culture. I would be happy if I could spread it naturally in that way. There are plenty of coffee shops that I would like to visit in Osaka, Kyoto and Nagoya, as well as in Tokyo. ー In that sense, there are many obscure/non famous coffee shops in downtown Tokyo as well. ー The Kanda Nishiki-cho area that you walked around today is known for having long-established coffee shops, do you have any you like? There is. I like books and I often go to Jimbocho’s neighborhood to visit the secondhand bookstores. I will then also go to a coffee shop. I usually go to Rodario, Erika or Saboru. 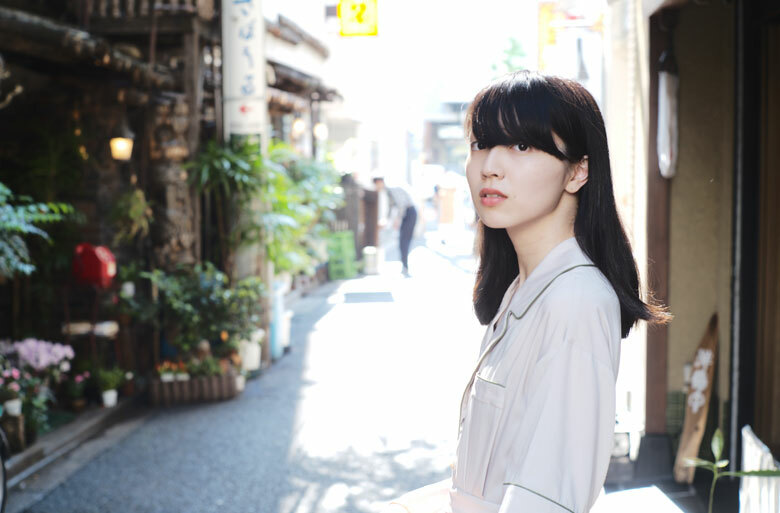 I think that there’s a lot of shops I don’t know yet, so I'd like to look around and search for a underground/unique cafe in Kanda Nishiki-cho. ー Since the city is under some redevelopment now, please go to the old coffee shop in the Kanda Nishiki-cho as well! Yes I will! Older coffee shops sometimes disappear if you don’t keep your eyes on them, so I'd like to go to various places. It wasn’t one of my favourite coffee shop, but there was one in Shinjuku near the Hanazono shrine. Even though I didn’t go there much when it was still open, one day I passed in front of it and the whole building was torn down. There was no sign or announcement that the coffee shop was gonna be closed. Sometimes I think about the inheritance of such coffee shop and how they deal with that. ー Is there really a inheritance problem? Yes. When I see a grandmother alone in shops, it is worrying that there is no one to continue the business after her even though it is such a nice shop. So, sometimes I’m relieved to see people like sons and grandchildrens helping the shops. In that sense, there’s a possibility that someone who noticed the charm of a coffee shop or the old-fashioned coffee shop room in my instagram feed turns into a regular customer and then they can be the one taking over the business, the chances of that happening are not zero. ー That's good! As a way to enjoy a coffee shop, you can also take a walk and look for new place. I think so. Try walking around the town to discover a cafe that you might like. I think you can find shops like that without entering inside. Of course it is also a matter of chance to discover a shop after seeing it in a magazine, but I find it more fun to discover shops on my own as well while walking around town. In that sense, I would like you to spread the word that they should discover their coffee shop too. There is a hashtag called "coffee shop department" on Instagram, I also follow it to search for coffee shops or I also post pictures of a coffee shops with that hashtag. ー When you go to a coffee shop, do you bring anything with you? I will bring books, notes and pens. I’ll write what I think and feel at that time, I people watch and will afterwards wrote about what I saw as a memoir. I recommend to not write a memo on a smartphone, because handwriting carry out the true feelings of the moment when you read it back later. ー What kind of activities/features do you want to bring to the coffee shops industry? Although this is one of the reasons why I started the old-fashioned coffee shop room, I think that it takes courage for girls to go into a coffee shop that they don’t know. So, with the clothes I made with the theme of going to a coffee shop, I myself wish to be a catalyst to the person wearing it to go to a coffee shop. ー It’s wonderful! Finally, please tell me your thought for a coffee shop. In modern times, “disposable”, “easy”, “convenient” etc. are seen everywhere. Of course we play a parts in things being that way, but I always think that I want to cherish the time I’m taking to do things. And the desire to have a coffee shop that will be here forever is the best. Since I was born I had never felt something like this for a place. Even though new technologies are created, it was done so by accumulating long hours of work that makes it their history, so I think that it is not easy to reproduce any high-tech technology. It is the same with coffee shops, the long-lasting coffee shop has been loved by customers with time, and the thoughts of various people are put in it. That's why a coffee shop is precious. That is why I wish all the coffee shops in the town will be cultural assets. ー Thank you very much for today! 【Mitsukaru Production Room】Announced the model "Omiyu" and a product based on old-fashioned coffee shop! Model. Familiar under the nickname of “Omiyu”. 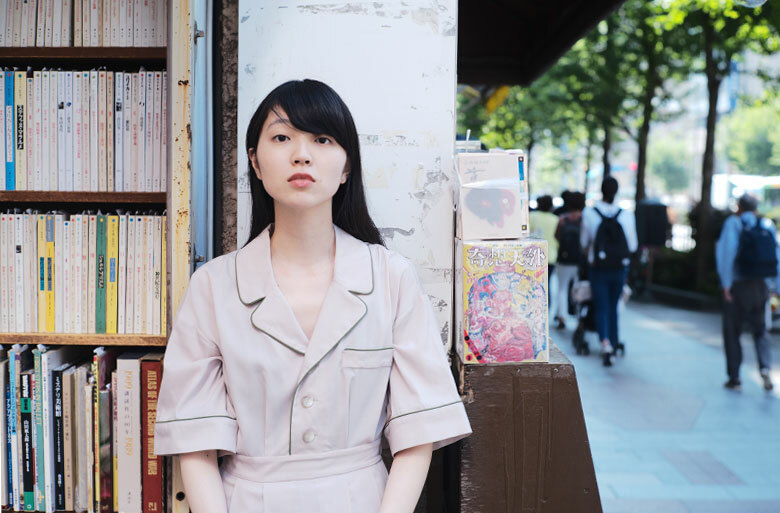 Has more than 50 000 instagram followers, old-fashioned coffee shop lover, Showa period lover, cat lover, attention is always on her fashion sense. Active in magazines, CMs and musician's PV. Also contribute a column to a magazine (Jungle affiliation).